Perform radical tricks in Board! 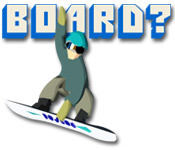 Boost your ollie power in this fun snowboarding game.Perform radical tricks in Board!You won't get bored in Board! 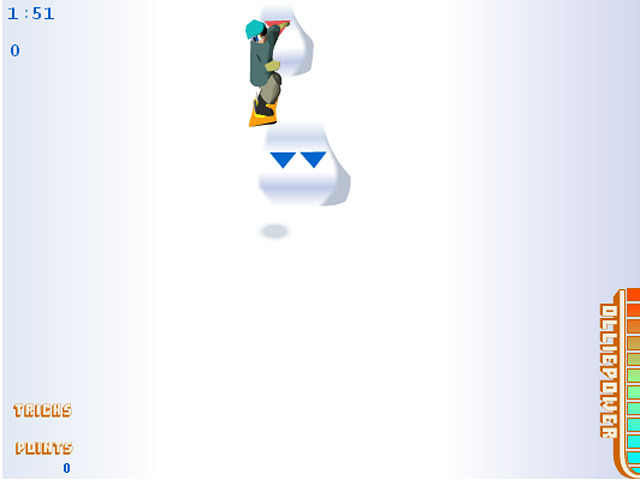 Boost your ollie power in this snowboarding action game. 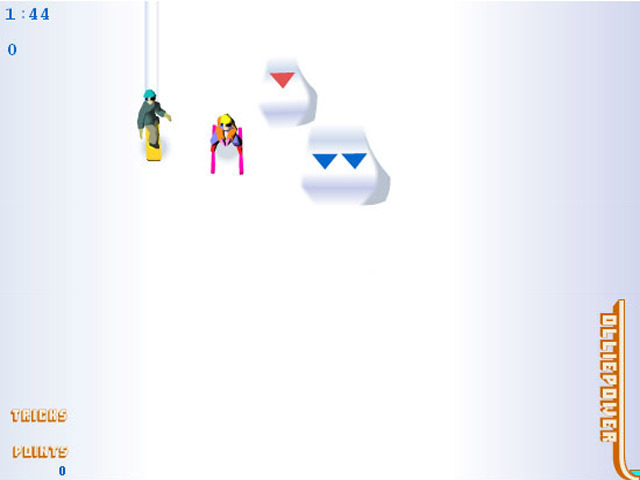 Jump off of various ramps and use your 'z' 'x' or 'c' keys to perform radical tricks to earn points. 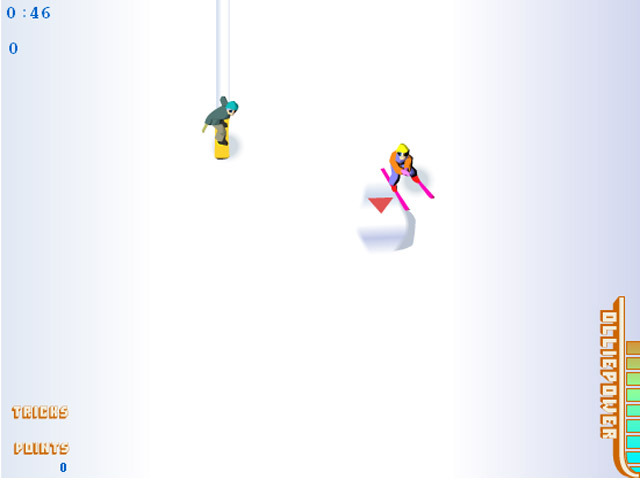 Watch out for the skiers!